Last week, I had the opportunity to participate in two unique initiatives that had much in common. 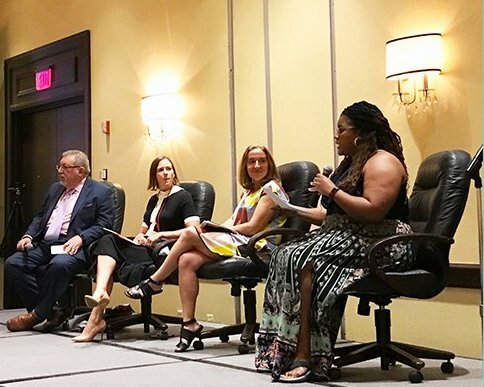 The Greater Washington Board of Trade (GWBoT) and the National Organization of Black County Officials (NOBCO) hosted individual convening events with a very consistent theme: How to encourage continued education about smart communities, incentivize collaboration and support policies that focus on future success. The Greater Washington Board of Trade, a 129-year old regional, pro-business, bipartisan business organization is a great example of the type of entity that can cut across industries and unite the public and private sectors. The area of interest includes the District of Columbia, Suburban Maryland and Northern Virginia, with a priority focus on skilled workforce, enhancing innovation, attracting investment and fostering regional collaboration. Presenting the Four Layers of a Smart City at the Greater Washington Board of Trade (GWBoT) Smart Region Initiative gathering. 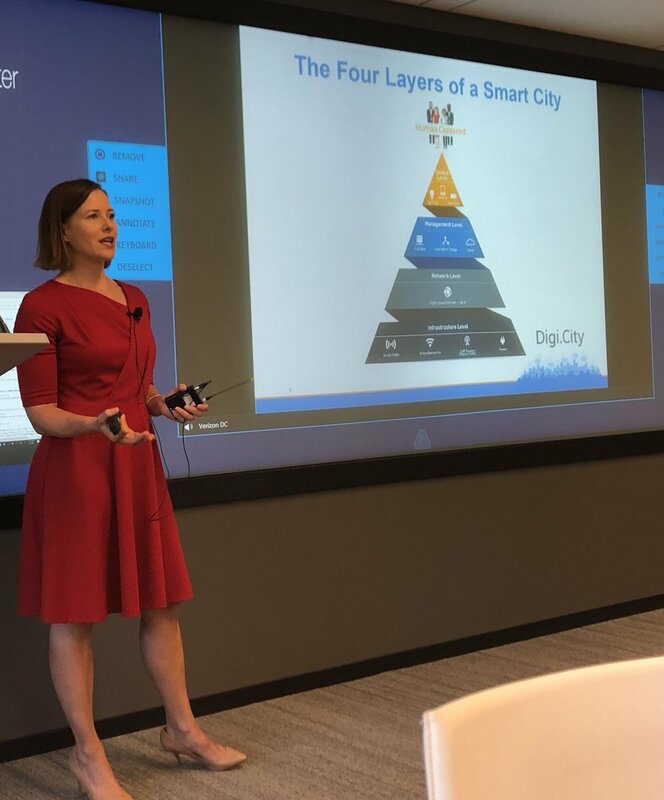 In my presentations at GWBoT and NOBCO, I referenced the Four Layers of a Smart City and spoke about the importance of policy related to the base of the pyramid. As I’ve referenced in previous articles and presentations, much of the smart city attention is focused on the top at the “Device and Management Level”. Think about how many articles you’ve read about sensors, devices, driverless cars and all things IoT. However the essential foundation of smart cities lies at the base of the pyramid at the “Network” and “Infrastructure” Levels. This digital infrastructure support is especially important with the coming wave of connected devices (expected to be 50 billion by 2020) that will require the power the 5G, the next generation wireless network. Regions are alert to the need for constant and consistent collaboration across traditional sectors. Supporting individual cities - and communities - in this effort means streamlining policies so that industry innovators don’t have to customize solutions for each individual municipality. While everyone honors that each city is unique, being able to deploy resources regionally is a much more efficient and effective way to get smarter faster. We want to encourage this kind of thinking for multiple regions across the U.S. This is not the time to think about a single entity or a single solution "owning" the space. The focus must be much broader and more diverse than individual gain. At the same time, collaboration has its benefits and those must be shared and resourced equally among partners. There is no one answer, no single playbook that can provide the answers for how to get there. So we will continue to share the stories of progress from some of the front runners. And may there be many more to follow!